NYC’s East Village is rapidly becoming one of the most gourmet hoods in the entire city; the cat’s out of the bag on that one. So it’s no surprise that the latest top dog to enter nipping at the heels of this trend is The Beagle, the E.Ville’s latest cocktail bar slash eatery (and not the other way around, Fabio). 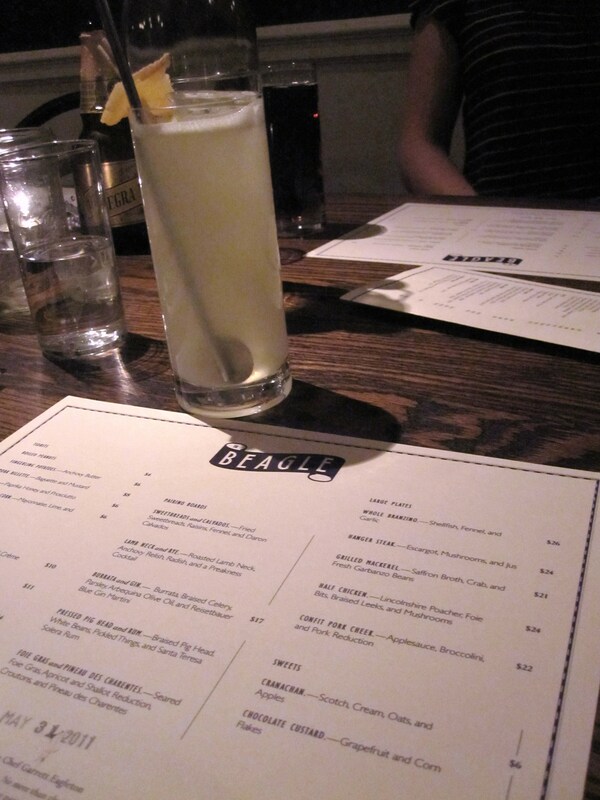 Taking over the former Orologio space on Avenue A (btwn 10th/11th Sts), the self-described “academic” cocktail program and excellent eats may just make The Beagle a contender for the title of Best in Show. 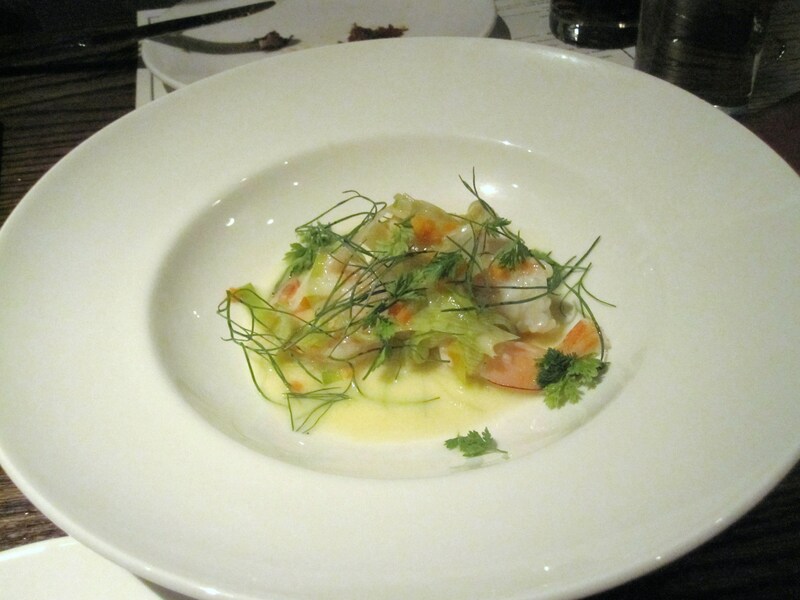 While The Beagle’s concept favors equal billing for cocktails and food, I tend to think that the former stole the show; the cocktail list reads like a study in the classics, with modern twists. The London Buck ($12) is adorned with a slab of candied ginger and features a dry gin, ginger, lime juice and seltzer – deliciously crafted with surprisingly delicate flavors that go down easily with the help of your metal mixologist straw. The complete liquor offerings are a comprehensive list that my Scotch-aficionado man-friends dubbed the Who’s Who of the Scotch world. Though, if you’re a barley and hops fan, you’ll only find 4 beers to mention – but they are thoughtful additions to the liquid imbibement line-up. One of the more interesting menu offerings are the pairing boards ($17), which, true to their name, team a tasting of food with a modestly sized cocktail. Of these duos, we ordered the Burrata and Gin (the former a creamy white cheese doused with pepper, much to my delight) and the Pressed Pig Head and Rum (Pig Head = not nearly as offensive to me when served in pastry square form, also, the “pickled things” were a hit). 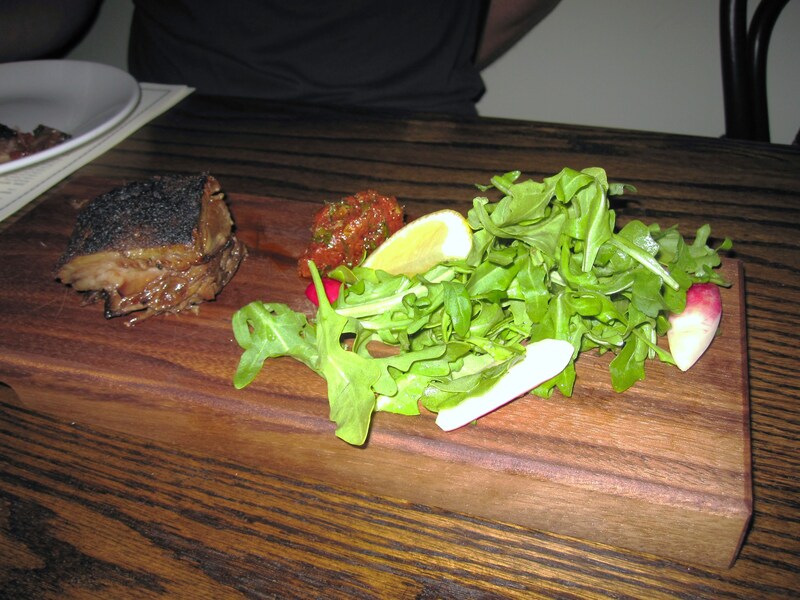 The happiest accident was the unplanned order of Lamb Neck and Rye which had the table foodgasming – the anchovy relish was quite a remarkable condiment. 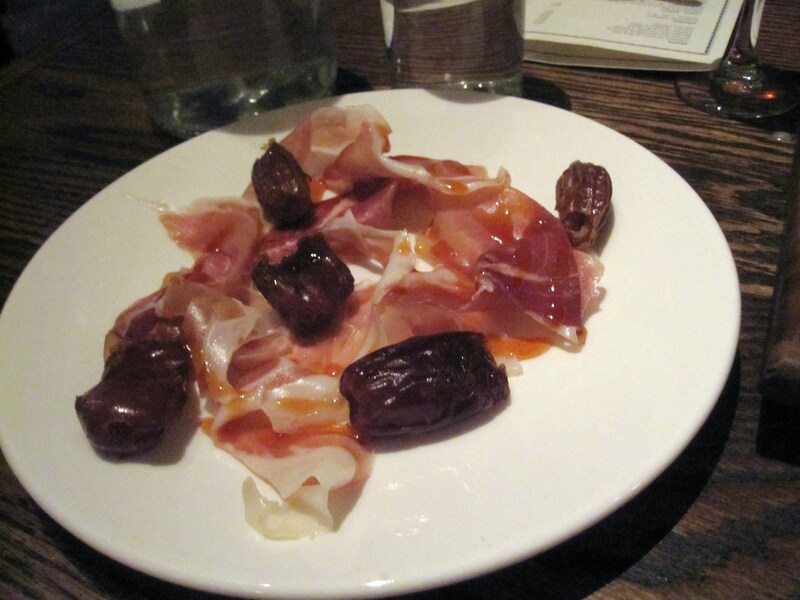 The Dates served with Prosciutto weren’t bad, but were unremarkable. 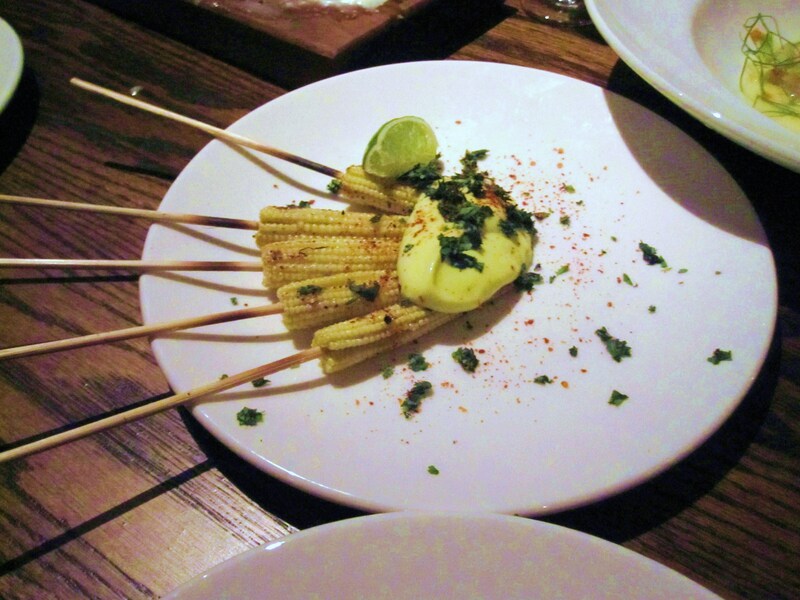 My table faves were the Fresh Baby Corn ($6) skewered and topped with a lime/mayo/cilantro concoction – perfect for sharing, such a fun dish – and The Shrimp ($10) with Vermouth, Mirepoix and Crème Fraiche, very well executed. Though The Beagle’s menu is carnivorously driven, I managed to find several delicious veggie/pesky options. As for reviewing the meat dishes, I got by with a little help from my friends (overall consensus: Tasty, with a capital T). So round up your dogs dawgs, and take yourselves out for a walk – over to The Beagle, of course.